The 9am Service is a traditional Communion Service which uses the New Zealand Prayer Book and ‘Hymns For Today’s Church’. The service is an hour long and includes a sermon, organ music and sometimes a choir. of a traditional nature. We have a vibrant Sunday School which meets at the same time. Morning tea is served after this service. The 10.30am Service is contemporary with a less formal style of worship. It has solid biblical teaching, prayer, liturgy and communion. Whilst family orientated, the service caters for old and young alike, in a relaxed and welcoming atmosphere. Morning tea is served from 10am, before the service, when there’s a chance to catch up with members of the church family worshipping at the 9am service. Breathe is a contemplative gathering where we gather to pursue a contemplative approach to Spirituality. We will have a reading or teaching, share our own reflections and then engage in a contemplative practice. ​Centering prayer will be our main practice, although we will look at others from time to time. This is an ideal service for those interested in spirituality with less religious content. 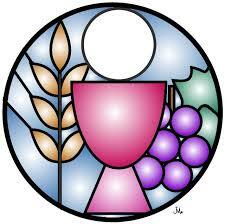 This is our midweek celebration of Holy Communion. The service, which lasts about 40 minutes includes time to pray for those in need, a ‘thought for the day’ or discussion of the Bible readings and is followed by morning tea together.